I feel more than a little silly admitting I actually lost sleep this morning thinking about an upcoming trip. In July. Yeah, July is a few months off, and to be honest, this trip is hardly even taking shape yet. The dates are iffy, the crew is a maybe, and the logistics might be a bit of a challenge. But back to the lost sleep part. I woke up early for no good reason, contemplating small trip details. Details I have absolutely no control over at the moment. Seems kind of crazy, right? Is there any real value in losing sleep over an event so far off? Yes! Anticipation is the fuel to your adventure fire! I’m a huge fan of anticipation. Without it, I’d probably get bored easily. I enjoy daydreaming about big things on the horizon. Approximately 9 times out of 10 it doesn’t go down anywhere near how I envisioned it. Regardless of my anticipation misconceptions, there is so much fun to be had in the pre-trip planning stage. I think this is why it seems like it takes forever for an adventurous trip to get here, and when it does, it’s over in an instant. Your anticipation ramps the entire thing up times a thousand. Sometimes you reach a point when anticipation is the only thing on your mind. This is exactly when you can hardly get anything done with the rest of your life. So why is anticipation so important? Because most of life is consumed with a different kind of stressful anticipation. Is my presentation at work going to be a hit? Will my commute today be longer than yesterday? How much will I owe the power company this winter? Will I be a good parent to my kids? A million reasons not to ignore your non-stressful, pre-trip, awesome anticipation. Go ahead, lose an hour or two of sleep over it. Have no shame in your excitement. These moments come and go, and sometimes they are few and far between. 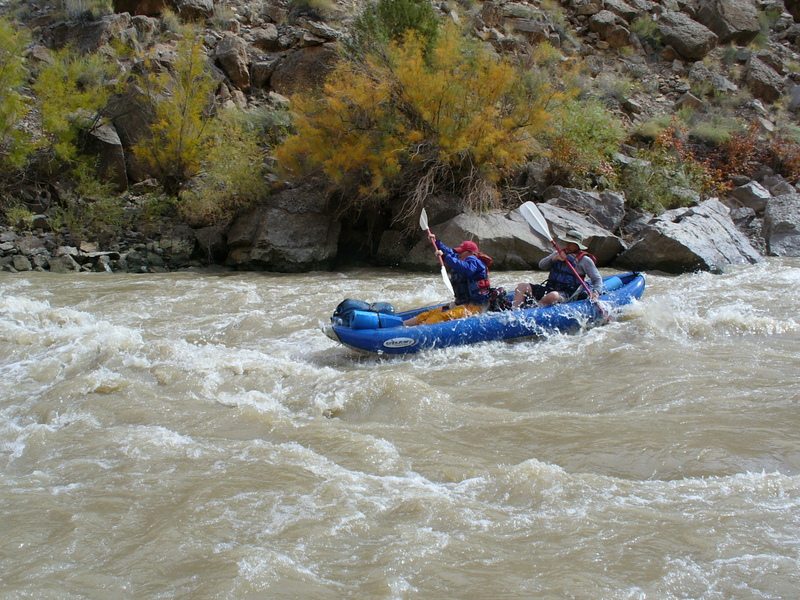 My wife and I taking on the San Juan River in Utah, a trip I had plenty of non-stressful, pre-trip, awesome anticipation for. You might be curious about my trip in July. I’m putting together a bachelor party for my buddy who is getting married in August. At first I figured we’d float a lazy river over a long weekend. Now I have bigger and better plans. Plans my buddies aren’t even aware of yet. Something tells me they’ll dig a whitewater trip down the South Fork of the Flambeau River in Wisconsin. A river I just started researching last night. I’m stoked just thinking about it. Tell me all about your own non-stressful, pre-trip, awesome anticipation.